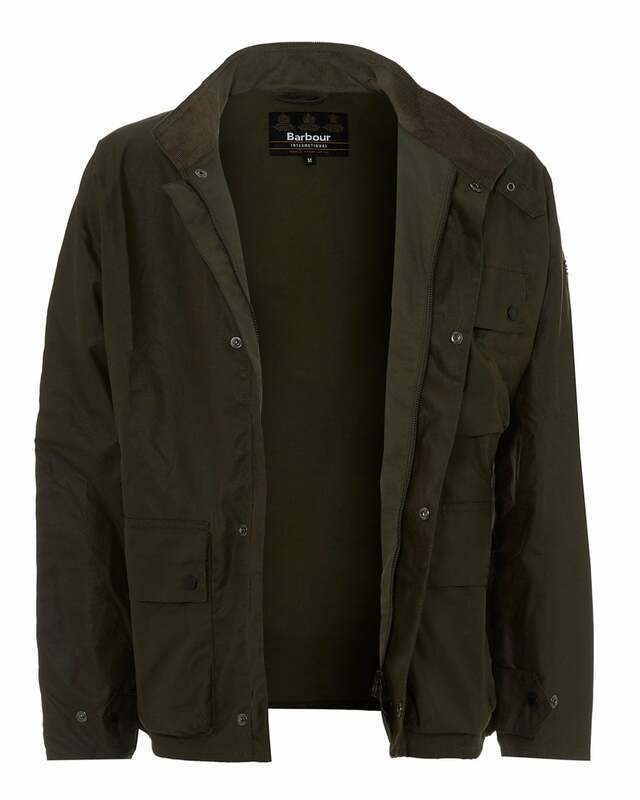 Keep the bad weather at bay with this waxed fabric, weatherproof Barbour International jacket. Cut in a tailored fit, this jacket offers adjustable cuffs, a buckled throat tab and a protective storm flap, which allow you to wear it your way without losing any ease of movement. Match with some jeans.